Thomas Eccleston Jr. coached over 2,200 hockey, football and baseball games at the schoolboy, prep school, men’s amateur, and collegiate levels. He was noted especially for his hockey innovations at Burrillville High School and Providence College. Born in England in 1910, Tom immigrated to Bradford, RI, in 1912 where he learned soccer from his English immigrant peers, the one sport he lettered in at Brown University. Passions for baseball, football, and hockey followed as the family moved to Maine, and back again to Rhode Island before Tom entered Brown. In 1931, while a Brown senior, Tom became coach of the Greenville Townies, a men’s amateur football team. A 33 game undefeated streak caught the attention of Burrillville officials who hired Tom in 1934 to coach the high school’s first football team. In 22 seasons, Tom’s boys won 11 championships and set a state record for consecutive wins. As baseball coach for nine seasons during this period, his teams set a consecutive state championship record that stood for 50 years. 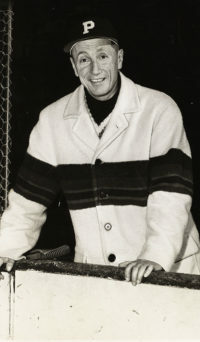 In 1940, Tom founded BHS hockey, taking reigning power Mount St. Charles to game three of the championship series in his second season. Tom’s boys reached the state finals ten more times, winning six, and thrice reaching the New England finals. 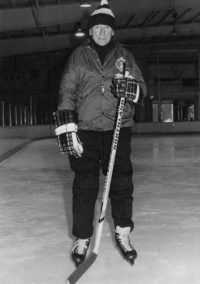 Applying a football coach’s eye for situational play, Tom pioneered a variety of modern offensive, defensive, and special team schemes in an era when hockey was thought “too fluid” a game for such coach-directed play. 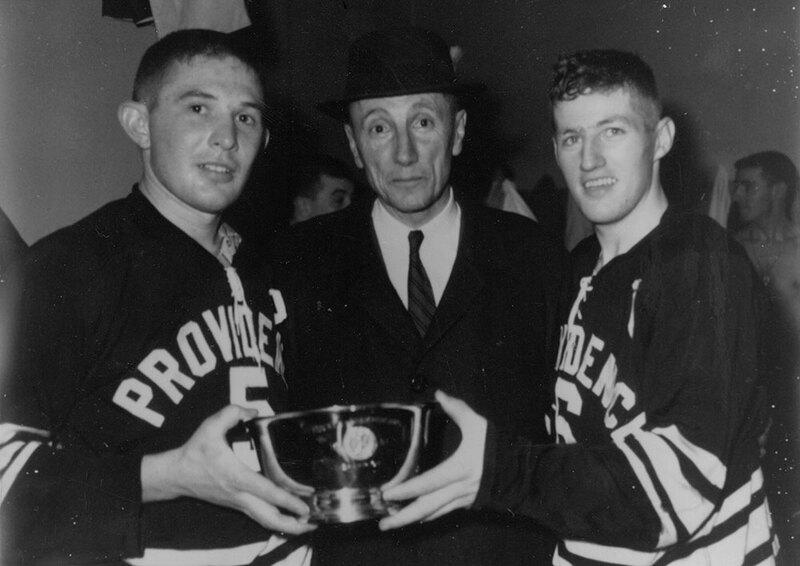 Moving in 1956 to Providence College, Tom’s Friars promptly recorded a season best record, and from there gradually ascended the ladder of eastern college hockey, led by stars such as Marshall Tschida, Lou Lamoriello, Bob Bellemore, Larry Kish, and Grant Heffernan. 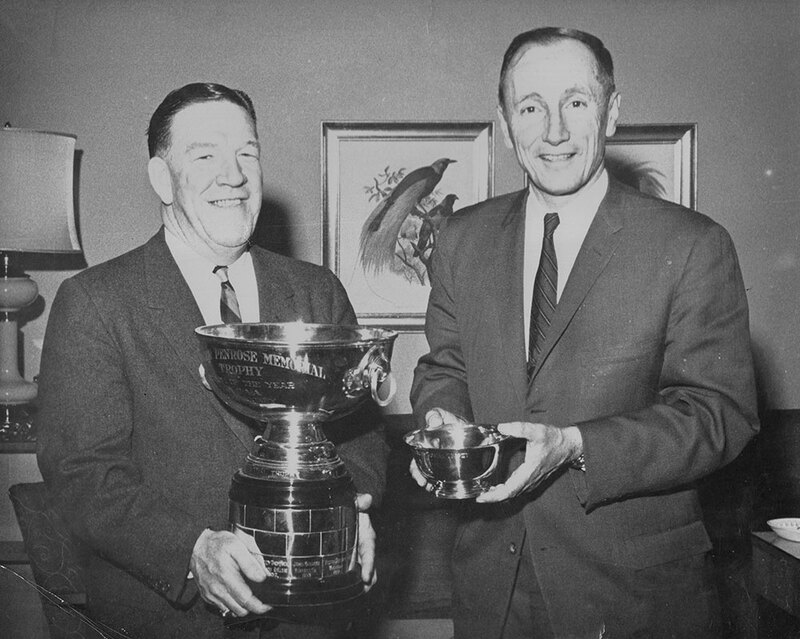 In 1963-64, Tom’s last season, the Friars won their first ECAC title and appearance in the NCAA final four. For this achievement, Tom won the Spencer Penrose Award as the nation’s top collegiate hockey coach. 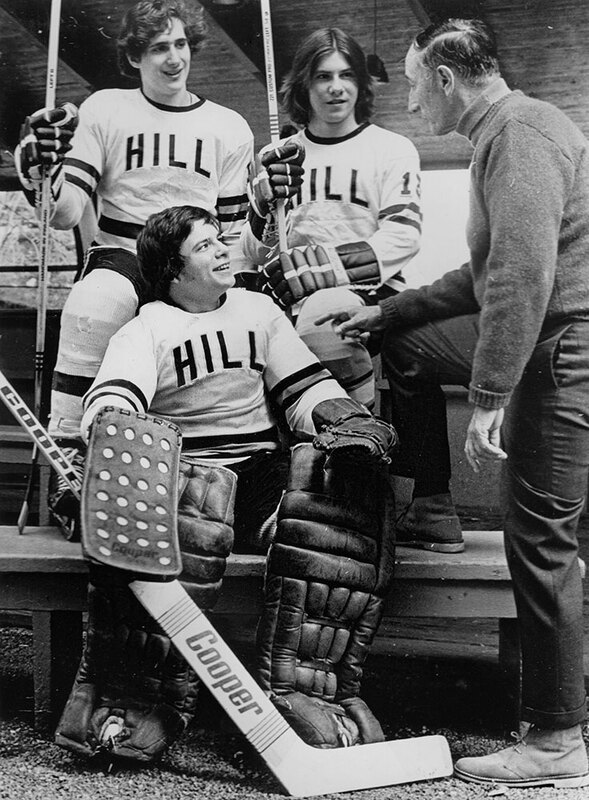 Retiring as Burrillville Schools Superintendent in 1972, Tom returned to coaching at The Hill School in Pennsylvania. 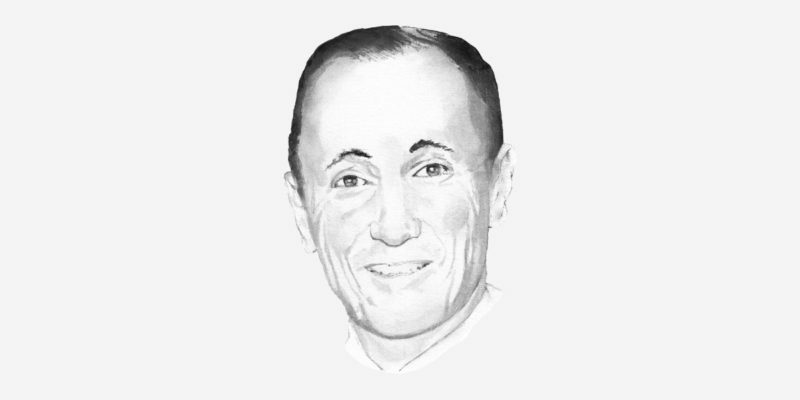 Compiling a 185-57-12 record in eleven seasons, he turned The Hill into a northeastern prep school power. 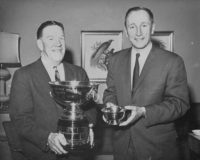 Top players included future NHL All-Star, Bob Kudelski; PC and AHL forward, Rene Boudreault; RPI and Detroit Red Wings defenseman, Tim Friday; and three-time NCAA Div III Women’s Coach of the Year, Bill Mandigo Jr. The Hill School, in 2007, named its new rink after Tom. 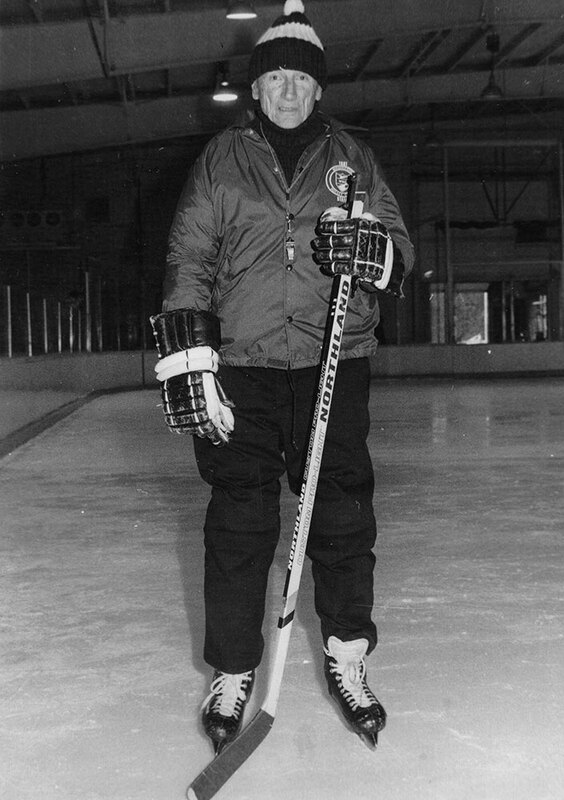 In 1984, Tom again took the reins of the Burrillville Broncos, who had fallen on hard times, leading them to four Met B championships in five seasons before his final retirement in 1990, the year the American Hockey Coaches Association gave Tom the “Snooks Kelley Founders Award” for lifetime contributions to the game.